In limited instances, a court may be persuaded to order a stay of enforcement, prohibiting a creditor from taking judgment enforcement steps against a debtor. One or more creditors is demanding payment or suing the client for debts the client does not dispute. Client has little or no income to pay on their debts. Client has little future prospect of being able to pay on their debts. when a debtor invokes remedies under the Bankruptcy and Insolvency Act, such as an assignment in bankruptcy or consumer proposal. There does not appear to be any direct authority in the Small Claims Act to order a stay of enforcement proceeding. It does appear that a Small Claims Court judge could achieve the same end, essentially, by ordering a very nominal payment schedule under Small Claims Rule 11 (for example, a judgment payable at $1 per year). Under Supreme Court Civil Rule 13-2(31), at the time of judgment or any time after, a judge may order a stay of enforcement of the judgment. There is relatively little case law on stays of enforcement that does not involve an appeal. However, at least two BC cases demonstrate the possible use of the remedy. In Bank of Montreal v. Price, the defendant brought third-party proceedings against his son and former daughter-in-law. The court ordered a five-year stay of enforcement against the former daughter-in-law, taking into consideration her inability to pay, her marital circumstances (divorced with custody of a child), and the close family relationship between the parties. In Caisse Populaire Maillardville v. Frigon, the court refused an application for a stay of enforcement, finding no special circumstances, even though the defendant argued that the eventual disposition of a related court action between the parties in his favour would allow him to sell property and pay the plaintiff’s judgment. Advocates should obtain a complete financial picture of the client, including income and expenses, and assets and liabilities. It is particularly important to determine whether there are any other creditors and the extent of the debtor’s assets. For this remedy to be viable, it should be evident that the client has little or no ability to pay the creditor’s claim, and that there are no other practical remedies available to the debtor. Court-level information is important because it governs what procedures to follow when applying for an instalment payment order. If the client has been sued, obtain all the relevant court documents from the client or from the court registry. If the client has not been sued, determine the amount owing to anticipate in which court an action might be brought. Before making an application for a stay of enforcement, consider whether a stay can be negotiated with the creditor. 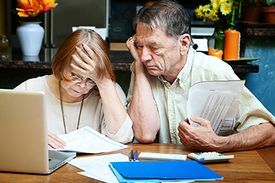 You may be able to explain to the satisfaction of the creditor that the debtor has no ability to pay on the debt, and is unlikely to have any future ability to pay. The creditor may agree to suspend collection efforts in exchange for the debtor agreeing to tell the creditor of any change in circumstances. This approach may be successful, for example, if a client is on welfare or other income support scheme, and if it is clear to the creditor that enforcement steps are not likely to produce any results. If the debtor is being sued in Small Claims Court, the judge might be asked to order a stay or to make a nominal payment schedule order. In Supreme Court, the debtor would file a Notice of Application with a detailed supporting affidavit in response to the creditor’s application for judgment.